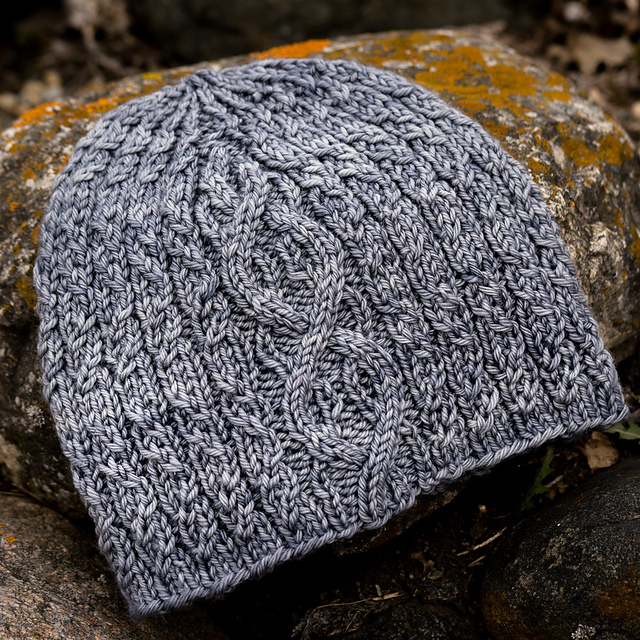 Everyone needs a go-to cabled beanie pattern in worsted weight yarn! 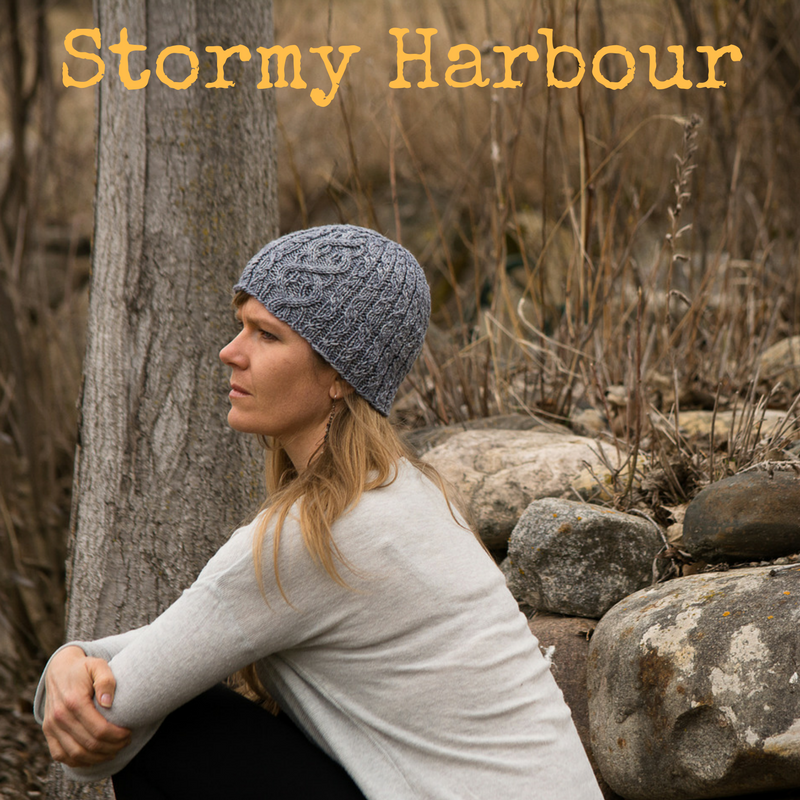 This hat combines two wave patterns to conjure up that feeling of looking out over the lake from a cabin. Shorter, sharper waves are driven by the stiff winds of a stormy grey sky while a few larger swells are created by the passing of a white-hulled boat. Despite the complex appearance, every other round is a resting round – where you knit the knits and purl the purls. And for those of you who use charts, the last page of this pattern contains a handy checklist to help you keep track of which round you are working for each of the two stitch patterns. This pattern has been tech edited by April Ridgeway as well as test knit.